Mathieu Desmarais first came to India in 2010. During a marketing internship for an NGO in rural Punjab, he fell in love with the country. As soon as his internship ended and he returned to Canada, he started planning his return. 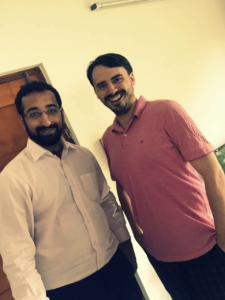 A web entrepreneur with strong interest in eCommerce as well as innovative web and mobile technologies, he started outsourcing web projects to India while finishing his studies. He later came back to the country to start his own web and mobile development firm, NPM Technologies, in 2012. His brother, Alex, completed his bachelor’s degree with a specialization in Finance at Sherbrooke University in Canada. He then joined NPM Technologies in Bangalore, circa fall 2014, as its Finance Director. 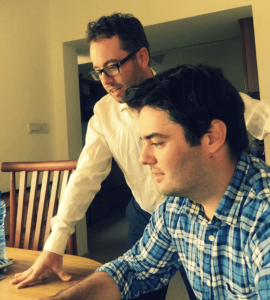 The Desmarais brothers’ first interaction with subscription eCommerce happened around the same time, when NPM Technologies was hired by a group of Miami-based French entrepreneurs to develop a subscription box website. Later that year, following a brainstorming session, RecurRex came to life. RecurRex is a subscription eCommerce SaaS for Indian businesses. It allows new and existing eCommerce websites with current or prospective subscription potential to automate recurring billing and payments. 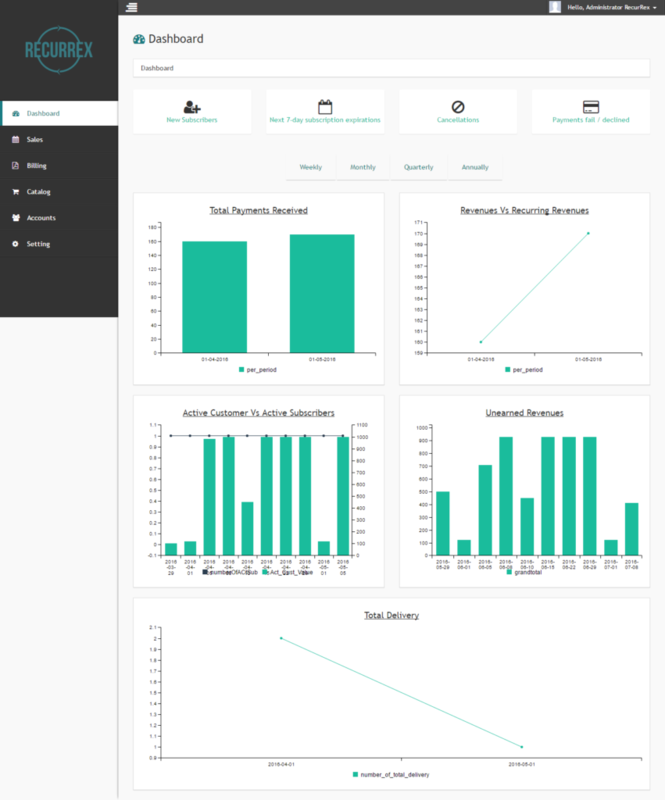 It also provides tools and actionable data for subscription marketing and delivery management. The startup was launched in February 2016 to answer this question: How to launch, manage and market a subscription business in India. “Since we started working on RecurRex, we have met with many businesses of different sizes, from very different industries. Most of them have relied on complex and manual processes, which very often involved Excel spreadsheets. As soon as they tried scaling their operations to more than 100 subscribers, the number of errors became unbearable: missed or unpaid deliveries, too many credits and refunds, etc.” said Mathieu, CEO of RecurRex. Indian subscription businesses have special needs that other subscription platforms are unable to meet; delivery and recurring payments management being the two most important. Indian subscribers require the ability to postpone deliveries, update delivery addresses or pause and resume their subscriptions. In the US, where the model originated, packages will find their way to a local post office to be collected later if its recipient isn’t home. And contrary to the US, there are currently no options to automate recurring debiting on Indian credit cards or Indian bank accounts (thanks to RBI regulations). RecurRex has automated this process as much as it is legally possible with its SMS 2 Pay functionality. Why cater to India’s subscription commerce market? India’s eCommerce market is estimated to be worth $119 billion by 2020 and is said to be the fastest growing online retail market globally (source: The Economic Times). It is also home to the second largest amount of subscription commerce startups after the US (source: Tracxn). Furthermore, RecurRex has no known competitors who specifically assess Indian businesses needs as described above. They are typically focusing on payment processing and recurring billing only, overlooking the marketing and delivery aspects. According to RecurRex, what started the subscription model in the US, the “wow” effect of discovery subscription boxes, is not going to be as big here. “In India, the new generation of young, tech-savvy, (IT) professionals, living in cities, with money to spend, is looking for convenience. One shouldn’t have to go out and purchase commodities like milk again, even more so if they’re going to be stuck in traffic, to reach an overcrowded mall or an insufficiently supplied BDA complex.” mentions Louis-Vincent Ledoux, Director of Customer Experience at RecurRex. “They’re also looking for experiences and have a tendency to try luxury brands, such as fashion and technology ones. There is an increasing need for quality consumer goods, notably in food & groceries, which is still controlled in the most part by small players, leaving a lot of room for opportunities. 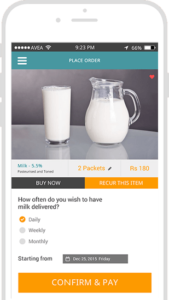 While the discovery model will still be interesting for rural India, by giving access to brands that are not available at brick and mortar stores, automated recurring purchases of commodity products will be the most popular form of subscription in the cities” adds Ledoux, one of four Canadians comprising RecurRex’s team of nine. With half a dozen clients onboard, including world famous Greenpeace using the SaaS to enable recurring donations, RecurRex is off to a good start. After receiving seed funding in October 2015, RecurRex is now looking at Angel investment to conquer the market faster. – Automate recurring transactions even more with IoT. “Subscription commerce means convenience and discounts for consumers, and better cash flows, inventory management and customer loyalty for businesses. We truly love this model, it will have a major impact on consumer behavior globally.” the CEO concludes.